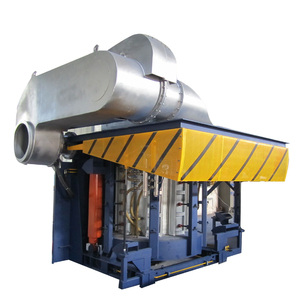 1500KG/1.5tons cast iron/steel/copper scrap induction melting furnace: Low Power Consumption Type! HOT SALE! 2 YRS Guangzhou Wang Xin Mechanical & Electrical Equipment Co., Ltd. 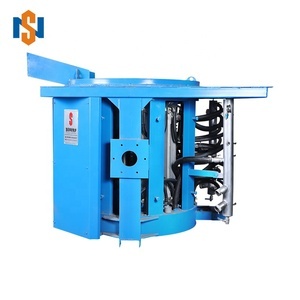 Product uses Intermediate frequency induction furnace, also called Mediumfrequency coreless induction melting furnace, mainly used for alloy steel, copper, aluminum and other ferrous and non-ferrous metals and its alloy smelting, thermal insulation, can also be used for gold, silver and other precious metals smelting. 9. Can be any state at any time to start or stop Water Cooling Method 1. Closed cooling way: do not need to carry on the water cooling preparation work, the user does not need to dig the pond to buy water pump and so on the work, the installation is convenient, reliable and quick, energy conservation and environmental protection. Through the cooling tower to distribute water heat, cooling tower with strong wind circulating water cooling, you can effectively increase the amount of heat, reduce the user's pool 4.Sink + water pump: water in the sink through the water pump pressurized into the equipment,water flows back to the tank recycling. Specification: 1. 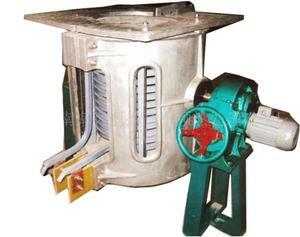 Turn on and turn off the smelter easily, and power failure will not affect the service life of electric furnace. 2. Adopt constant power to control the circuit, maintain constant power while melting, and keep faster melting rate. 6. Apply to melting ferrous metal and non-ferrous metal like copper, aluminum, zinc, steel, iron, stainless steel etc. We can professinal design as your requirement. Q : How many days can delivery the goods 9 A: This is specially designed machine according to your specific requirement. Each machine is assembled and carefully tested before shipment. Controller, user can use touch screen to set curves, auto/manual switch interlock, auto &monitor system, it is easy to operate. Q:Can you serve customer oversea like installation and debugging 9 A: Yes,we can dispatch our engineer to your city for installation and debugging or other service. Q:How about training 9 A: Buyer sent operator to our factory to get trained about the furnace operation; Our engineers offer training in the users working site. 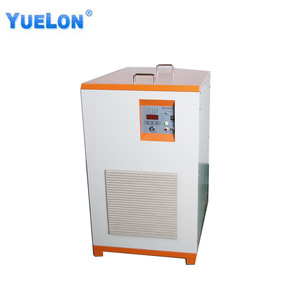 5 YRS Xinxiang Zhongli Furnace Industry Co., Ltd.
Vauum Melting Furnace 1.Introdution The vacuum induction melting furnace is mainly applied to scientific research and industrial manufacture. 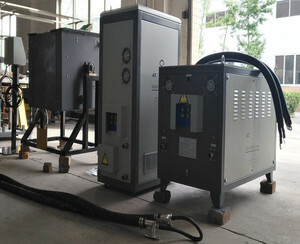 In vacuum environment, this vacuum metal melting equipment utilizes medium-frequency induction heater to melt metals. Featuring small floor space, our industrial electric furnace delivers lucrative scientific research and industrial manufacture. Description 1kg mini furnace 2kg mini furnace 3kg mini furnace Model M.MF.01000 M.MF.02000 M.MF. 3. Safety operation during whole melting process, only need to move the tilting handle to pour liquid metal into ingot mould as melting finished. 4. Fully equipped protections: over heating protection, over current protection, over voltage protection, phase fault protection to strengthen safety operation once again. 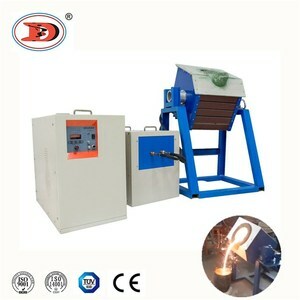 Hot forming: Diathermy of small workpiece, hot forging and hot rolling of twist drill. Metal melting: (Vacuum) molding, casting molding and evaporation coating of gold, silver, Fe, Al and other metals. Metal melting: (Vacuum) molding, casting molding and evaporation coating of gold, silver, Fe, Al and other metals. 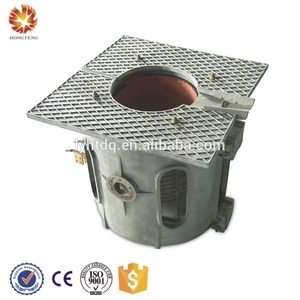 Alibaba.com offers 8,622 iron melting furnace products. About 87% of these are industrial furnace, 1% are laboratory heating equipments, and 1% are jewelry tools & equipment. 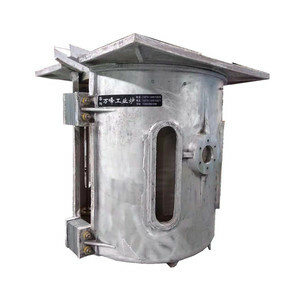 A wide variety of iron melting furnace options are available to you, such as free samples, paid samples. 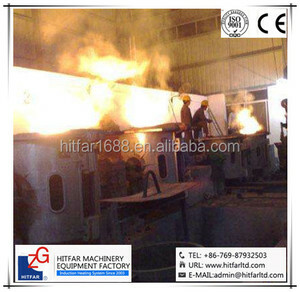 There are 8,622 iron melting furnace suppliers, mainly located in Asia. The top supplying country is China (Mainland), which supply 100% of iron melting furnace respectively. Iron melting furnace products are most popular in Domestic Market, Eastern Asia, and Southeast Asia. You can ensure product safety by selecting from certified suppliers, including 4,069 with ISO9001, 502 with Other, and 18 with ISO14001 certification.